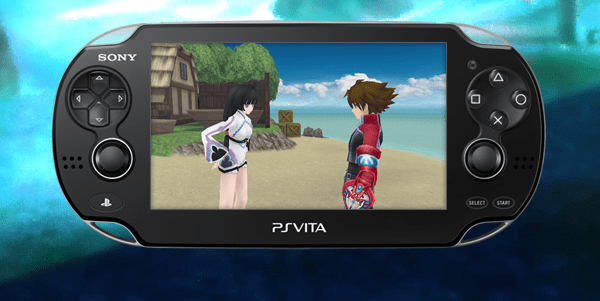 Tales of Hearts R, scheduled for release on the PSVita in Japan spring 2013, is going to get a face-lift combat wise! The combat is being changed in order to better accommodate 3D capabilities. In other words, Tales of Hearts R combat will be completely 3D! Among the 3D changes seen in the combat, there will also be a Chase Link system that allows players to follow their enemies into the air and deal a second blow. In addition, new story events will be added, as well as voice-overs. A new playable character named Calcedony Arkham will also be a new addition to the game. Whether or not this game will see a release in North America is unknown. There are no hints at this time that it will make it across the ocean to us, but we can always hope for the best. More Screenshots have been released! 6 to be exact. We are happy to present them here for you, and then proceed to our corner of self-pity and hopeful thoughts that this game will hit our shores in the near future.